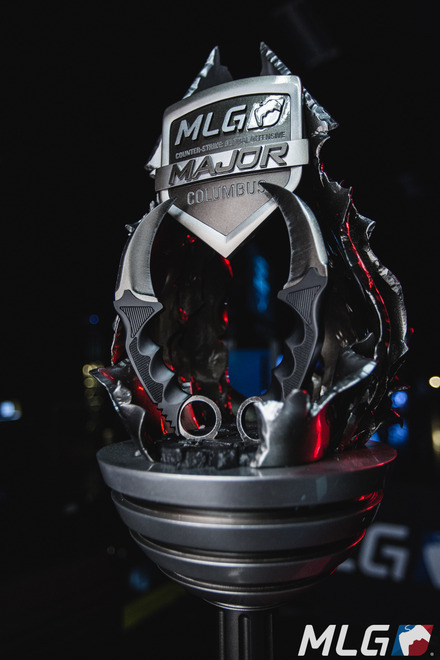 The people at Major League Gaming were looking to try out a different approach with their Counter Strike award for 2016. 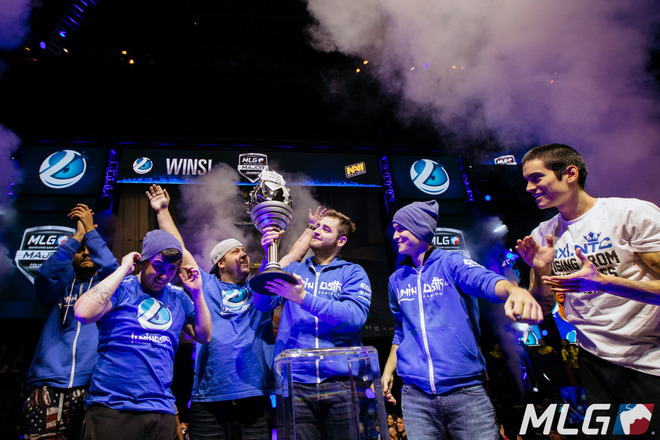 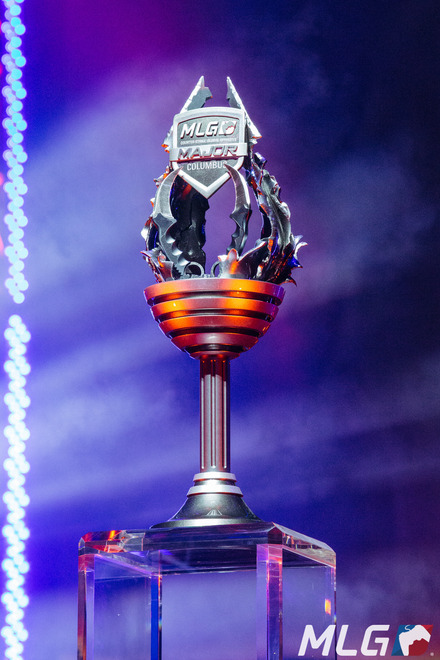 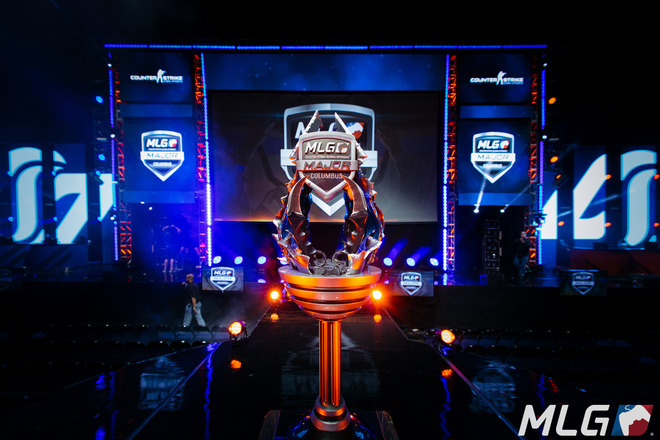 Previous trophies were more in line with major sporting events, and this year MLG wanted something traditional looking but with an eSports spin and iconic Counter Strike imagery. 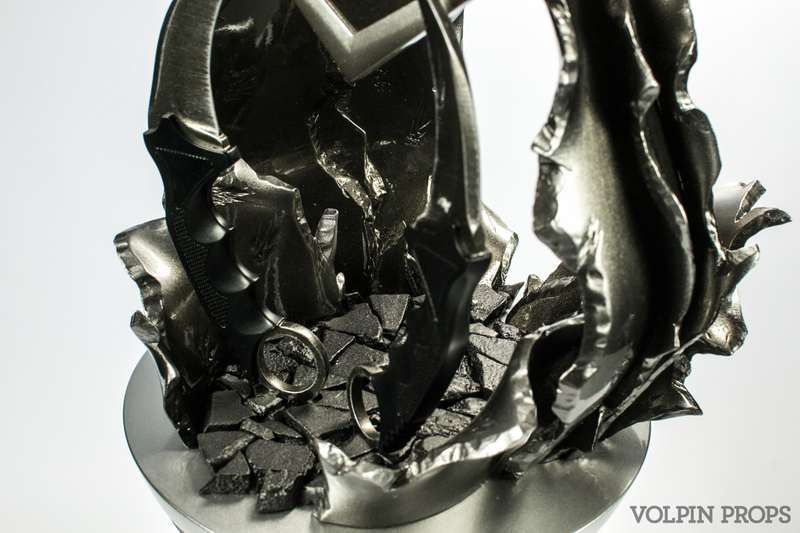 The conceptual design was handled by Thomas Weiser, who also penned the awards for Riot and several for Curse. 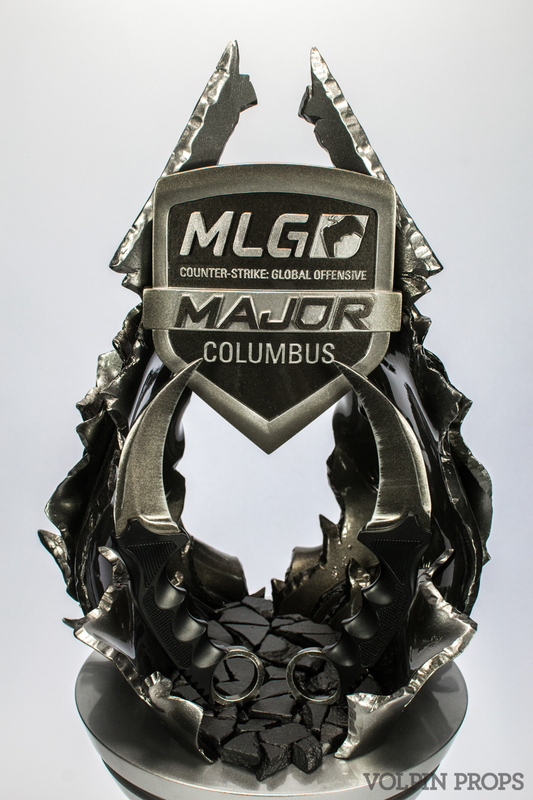 Large shrapnel “leaves” frame a pair of karambits, knives that the CS:GO community identifies with heavily. 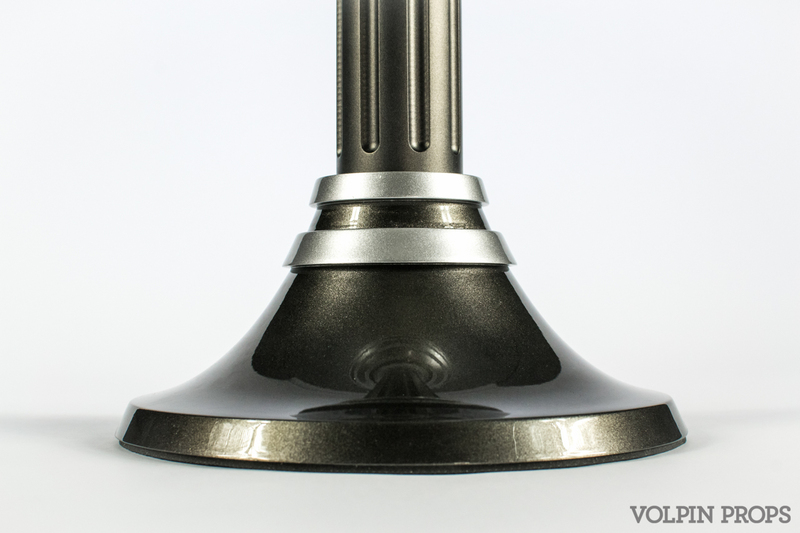 Both upper and lower bell shapes are solid cast urethane resin joined with an aluminum bar which has been fluted to emulate the look of a high powered rifle barrel. 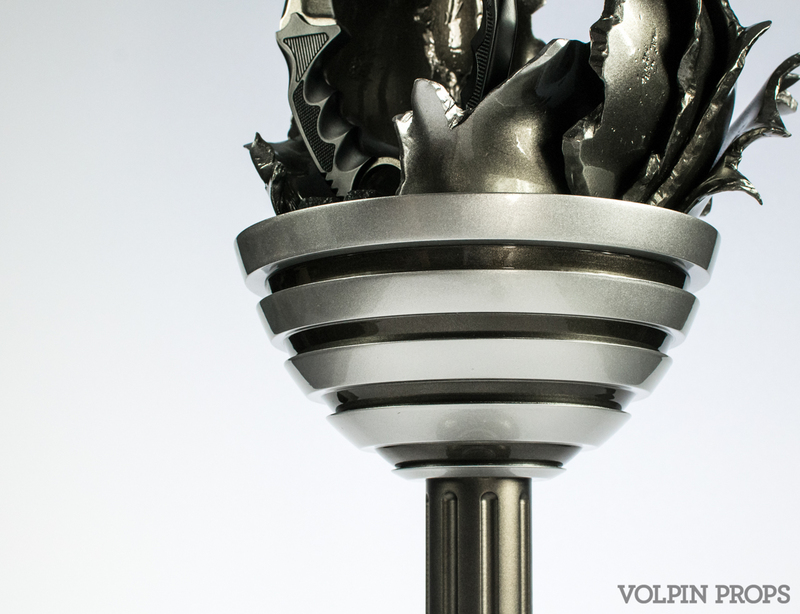 Once assembled, the finished trophy is nearly 34″ tall and weighs close to 20lbs. 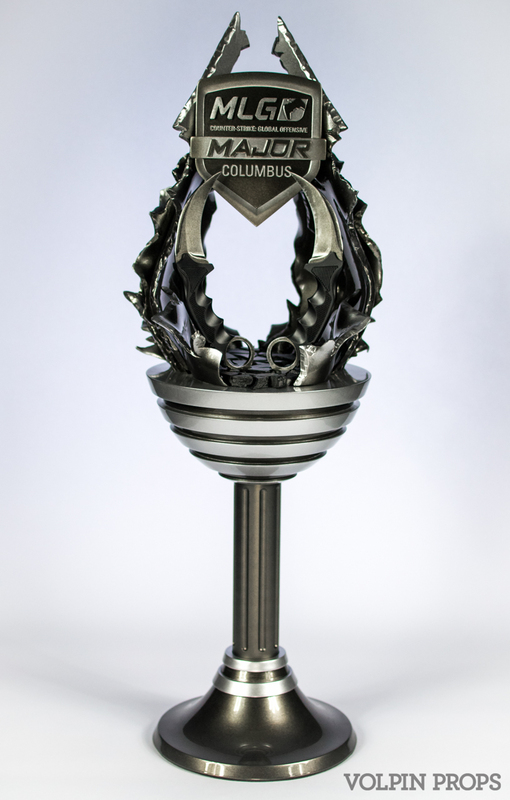 By using thinner plastics for the upper details, weight is concentrated at the base of the award to avoid any issues with the piece becoming top heavy or unwieldy to hold aloft in triumph. 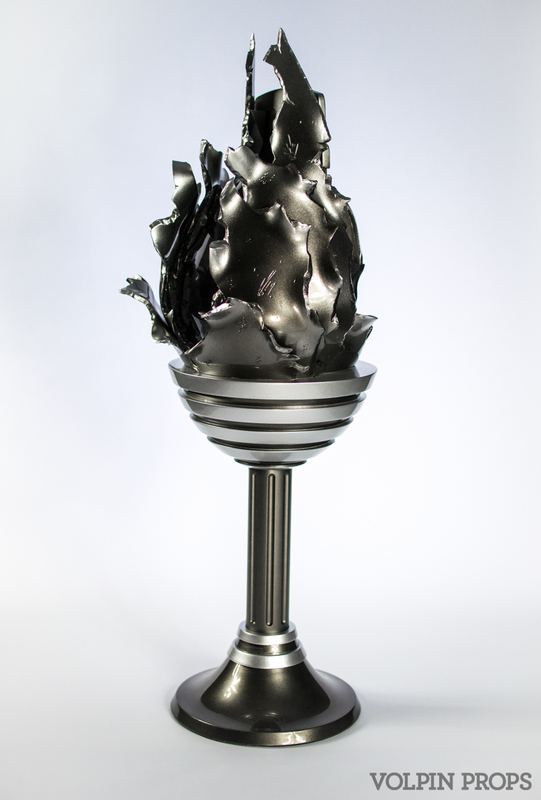 Total timeline on creation and assembly of this project (after nailing down the conceptual design) was only 13 days!